Although having your toiletries or makeup in a clear bag is not a requirement to pass through airport security, having these items in a clear bag will certainly speed up the screening process. According to TSA.com, you can bring a quart-sized clear bag to hold your liquids, creams and gels and those bottles cannot weigh more than 3.4 ounces. 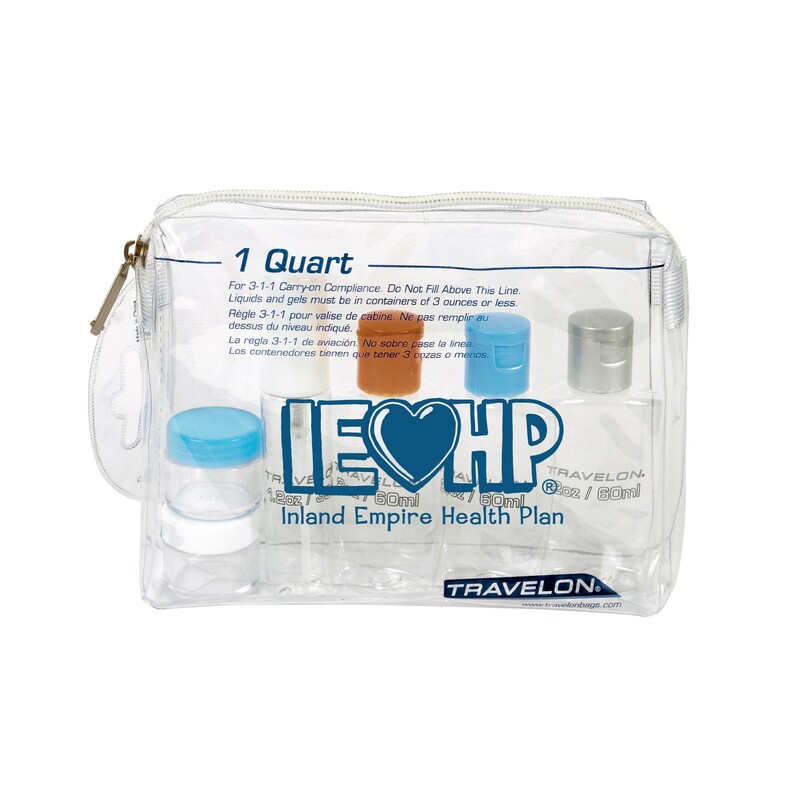 Our top 6 Bestsellers are here, click on VIEW ALL to see our full line of custom printed clear travel and cosmetic bags! 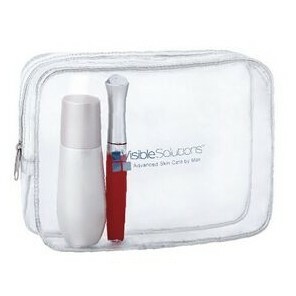 What companies or brands should give out travel sized clear makeup bags? 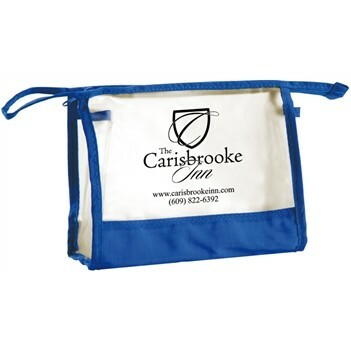 • Travel agencies could give out a clear, quart-sized bag with the travel logo printed on the front as a thank-you gift for booking. • Tour groups or other groups who will be traveling should consider customizing their own tote bags and buying them wholesale to ensure the group easily and efficiently gets through TSA. • Companies who have a trade show booth set up at a major convention somewhere like Las Vegas or New York City could give out clear travel bags to business travelers attending the show. • Baby product companies could have these as a gift for tired mothers who want to get through security as effortlessly as possible. 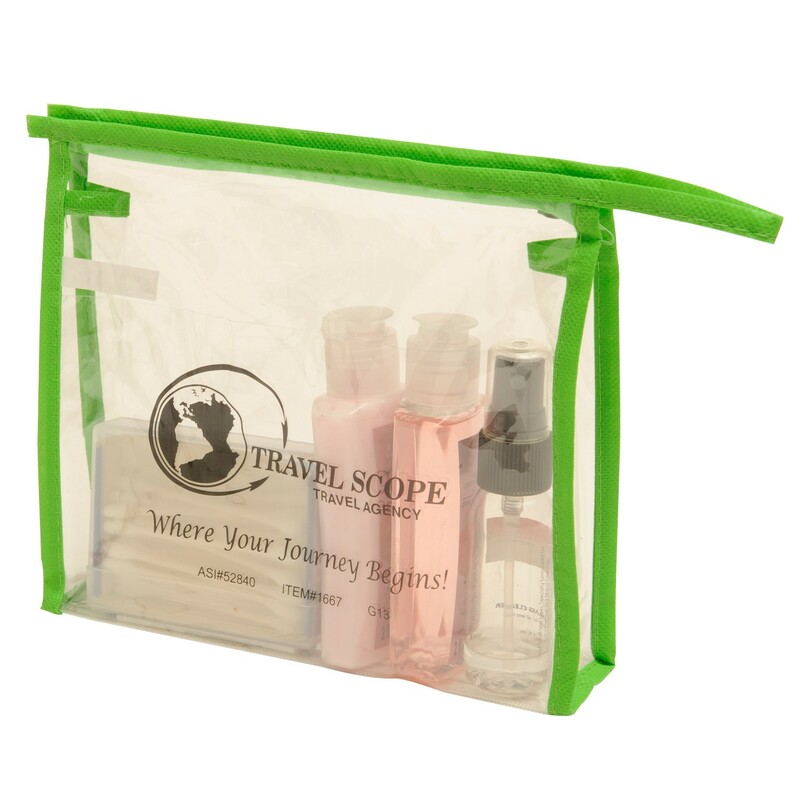 • If you really want to give something special to travelers, customize the clear bag even further by stuffing it with travel necessities like gum, ear buds, or an inflatable neck pillow! 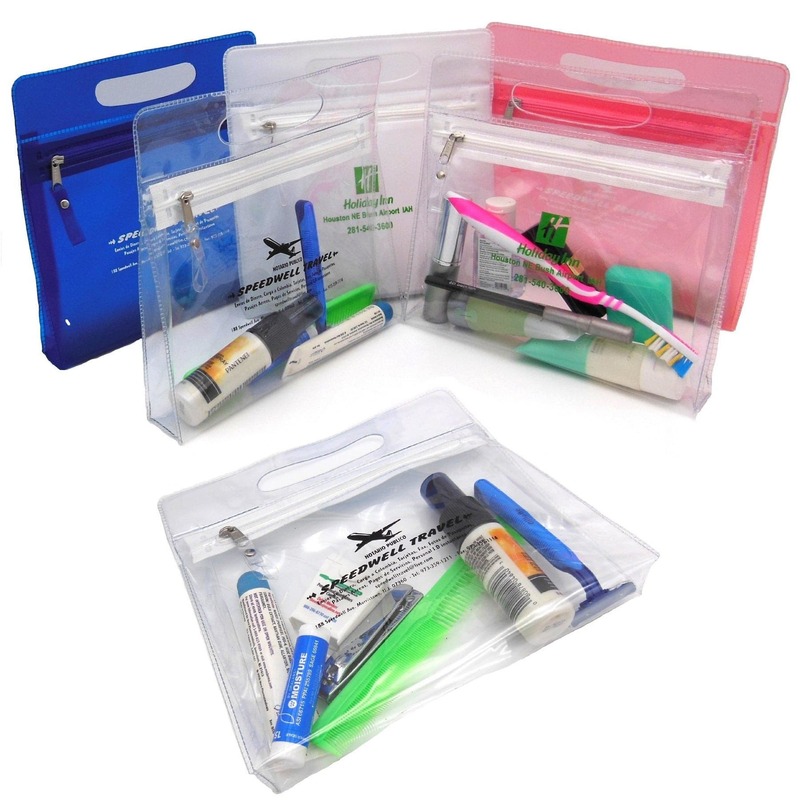 If you feel like browsing our entire inventory of custom clear bags, click the link below! 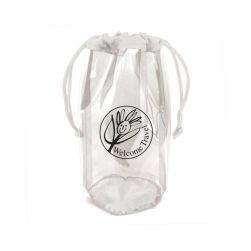 We have hundreds of clear totes, hand bags, shoulder bags, drawstring bags, backpacks and fashionable clear bags that would make a great promotional giveaway for stadium, travel or work needs.